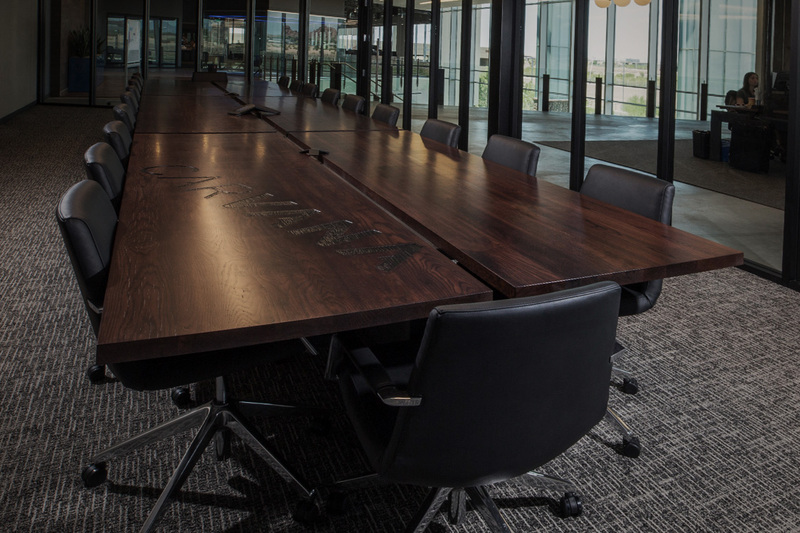 This massive 26-foot conference table is wired for both power and data. 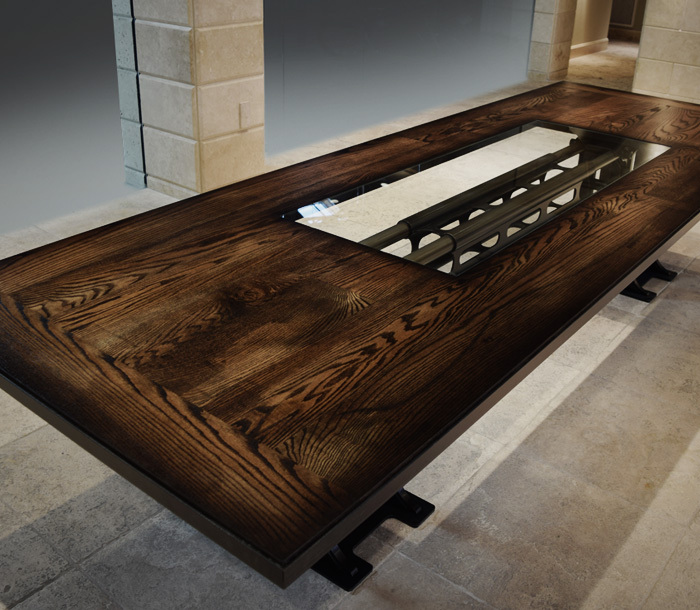 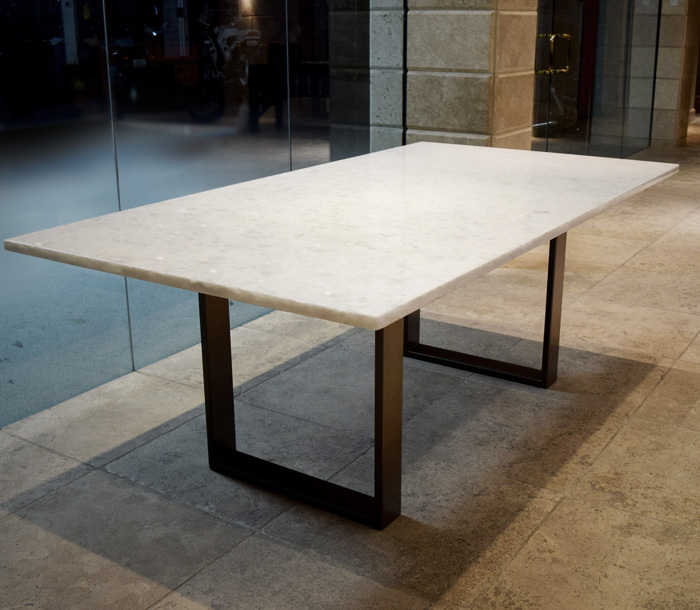 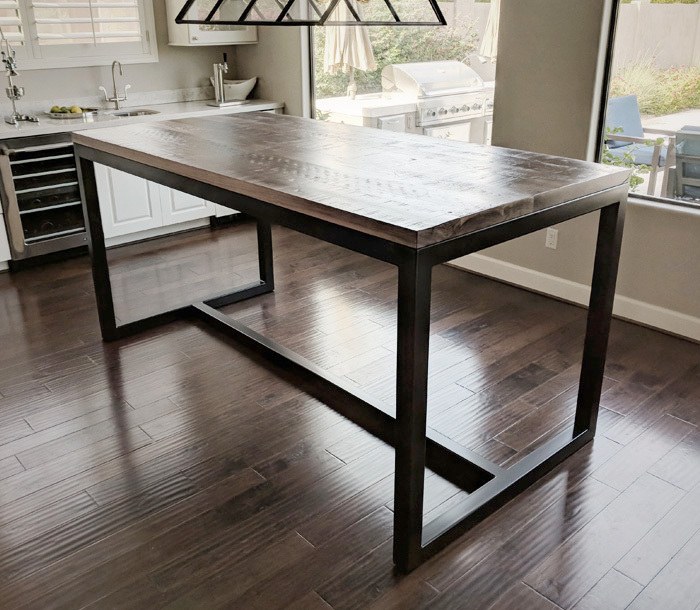 The tabletop alone consists of six 103” x 30” pieces of 1.5” white oak. 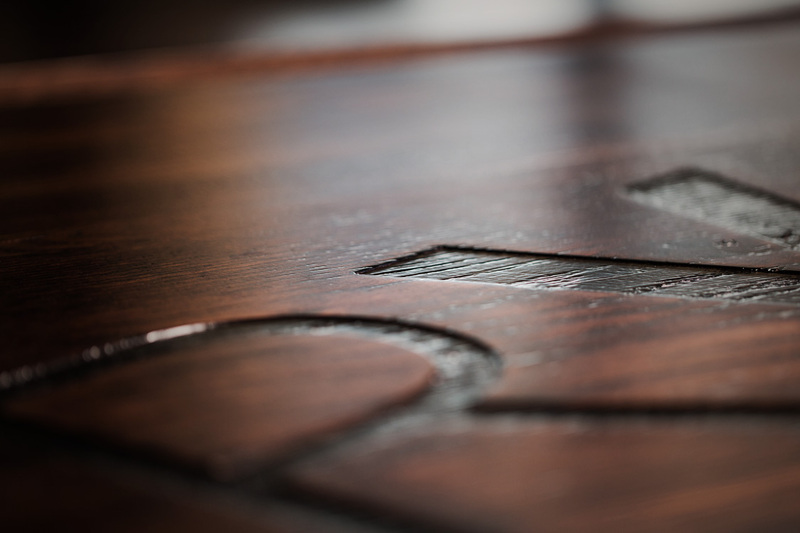 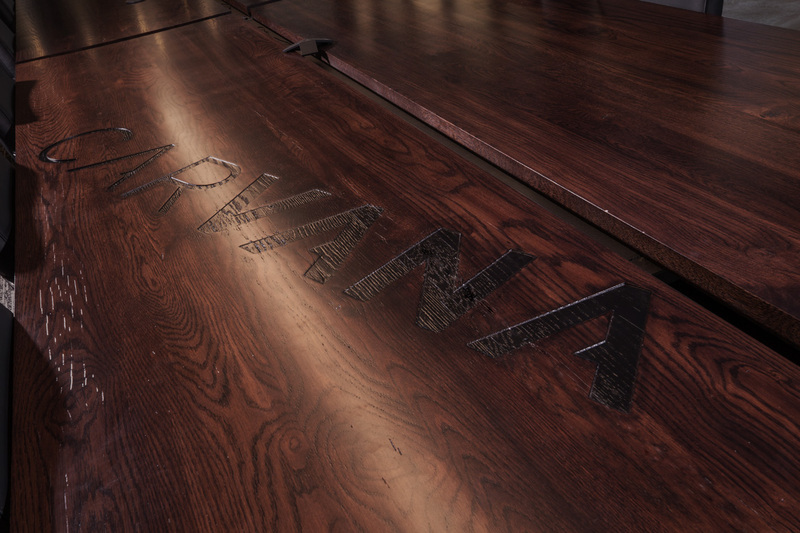 For extra bragging rights, we branded the opposing corners of the table with the Carvana logo.